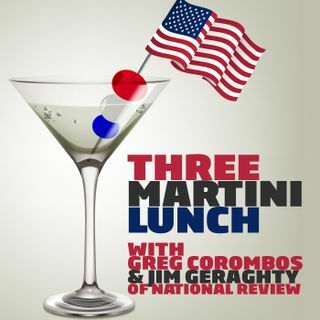 Jim Geraghty of National Review and Greg Corombos of Radio America celebrate the arrest of the founder of Wikileaks leader Julian Assange, the man responsible for the largest publication of classified material in history that risked compromising American troops and operations. They also remember all the times the media pushed disgraced attorney Michael Avenatti as a serious candidate for 2020 after Avenatti was indicted on 36 charges of tax dodging, perjury, and theft from clients. And they ... See More wonder what lessons have really been learned in Virginia after Democrats in the state apologize for rushing to judgment on Ralph Northam.